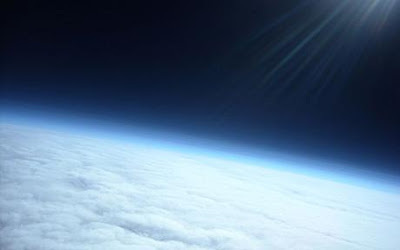 Four teenage Spanish students have earned worldwide acclaim for the photographs they have taken of the edge of space, 20 miles above the Earth. The students pulled off the remarkable feat with a weather balloon, and a digital camera costing about $100. The instrument packaged that the kids whipped-up contained a means of tracking the balloon after its ascent via Google Earth.